Anna provides sports massage in Chippenham to a wide variety of clients at thetreatmentrooms, for a number of different symptoms and conditions. Runners, triathletes, Ironman competitors and cyclists are just some of the sports people Anna provides sports massage therapy in Chippenham. With a variety of musculoskeletal conditions arising from their disciplines, Anna uses deep soft tissue massage within treatments, as well as soft tissue release, neuromuscular techniques and taping. Anna places a strong emphasis on rehabilitation and strength and conditioning to reduce the likelihood of further injury and to become stronger and improve performance within their sport. Many athletes use sports massage as a regular maintenance for their soft tissues as it helps them to train more effectively. Anna’s pre event massage in Chippenham is very popular, ensuring the body is ready for a race and working as efficiently as possible. Post event massage speeds up the recovery process and helps the athlete return to training. Anna provides gait analysis in Chippenham for runners of all level. Gait analysis is a way of identifying biomechanical abnormalities in the gait cycle, in this case, in the way someone runs. It can help to identify why someone suffers with repeat injuries or niggles, or it can be used to identify weaknesses and optimise performance. Through a range of observations, an assessment of specific muscle strengths or weaknesses and muscle length tests, Anna can analyse and make recommendations as to how to improve the gait to make performance more efficient. Anna treats many different clients in Chippenham with a wide variety of symptoms and conditions such as bad backs, repetitive strain injuries, tension headaches, joint replacements and general muscle pain. She uses different techniques, depending on the symptoms, such as deep soft tissue massage, soft tissue release, neuromuscular techniques and taping. To book an appointment or to discuss our sports massage in Chippenham. Please feel free to get in touch via our contact page. Many people having physiotherapy in Chippenham aid their rehabilitation and recovery with additional massage therapy. 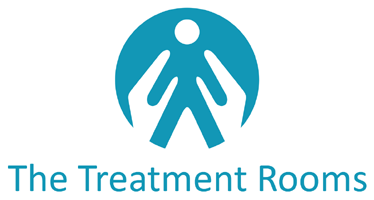 The treatmentrooms work closely with Chippenham physiotherapist team, Pickwick Physiotherapy, delivering effective solutions for sports injuries and injury prevention. If you are looking for Physiotherapy in Chippenham please get in touch for more information.